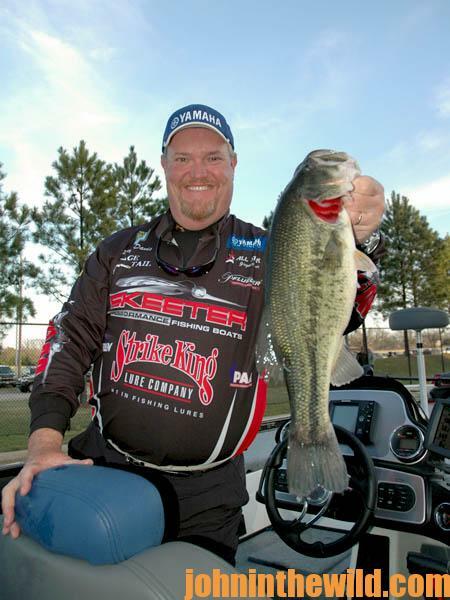 John’s Note: Mark Davis of Mount Ida, Arkansas, long-time professional bass fisherman, is one of the quiet giants of professional bass fishing. Davis has won the BASS Angler-of-the-Year title three times and has combined earnings from the BASS and the FLW circuits of almost $2 million. 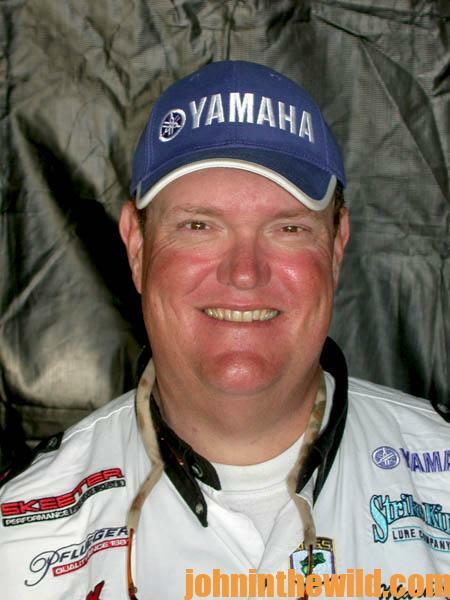 He’s also the only angler to win BASS Angler of the Year and the Bassmaster Classic in the same year (1995). This week, Davis will tell us how he catches bass in really-hot weather, one of his specialties. Question: Mark, one of the hardest times to catch bass is at this time of year when the weather is hot. Where will you find bass, and how will you catch them? 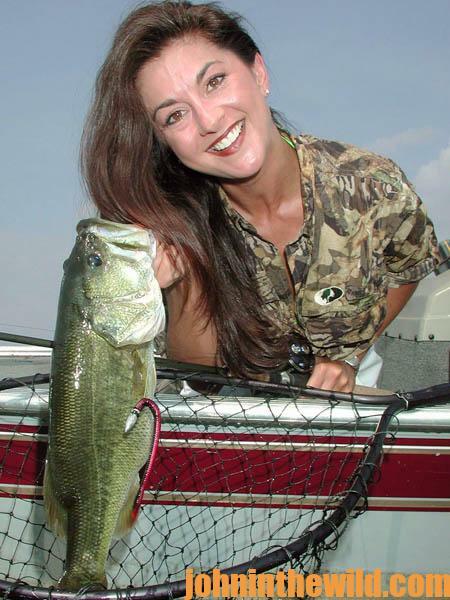 Davis: In the summertime, bass usually will go deep, especially in highland reservoirs. 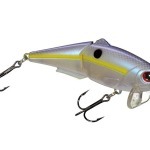 The bass will be related to the thermocline and generally will be holding on deep structure. 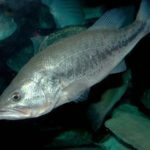 The bass can go as deep as 35 or 40 feet, depending on the color of the lake and the depth of the thermocline. Question: How will you catch the bass holding in 35 or 40 feet of water? That’s almost as deep to fish for them as when deep-sea fishing. Davis: Remember, that’s on really-clear lakes. 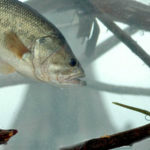 As the summer progresses, more bass will move to that deeper water. 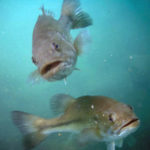 If a lake’s not extremely clear, however, you still can catch bass in water 20- to 25-feet deep. 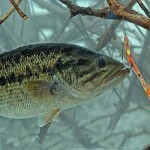 I catch a lot of deep-water bass fishing a drop-shot rig with a finesse worm. Question: Describe the drop-shot rig you’ll be using to fish deep. Davis: I’ll be fishing 6-pound-test line with a 1/4- to a 3/8-ounce drop-shot weight on the end of the line. My drop-shot hook will be 1 foot or less from my weight. If I’m fishing in heavy cover, I may be Texas rigging that finesse worm with an offset EWG-style hook (http://www.gamakatsu.com) in either the No. 1 or the No. 1/0 sizes. If I’m fishing where there’s not a lot of wood cover, I’ll use a No. 1 short-shank drop-shot hook and nose-hook the worm. Remember that drop-shotting is a vertical presentation. I’ll be looking at my electronics and actually seeing the bass I’m trying to catch. So, I’ll drop my drop-shot rig right down to the bass I can see. 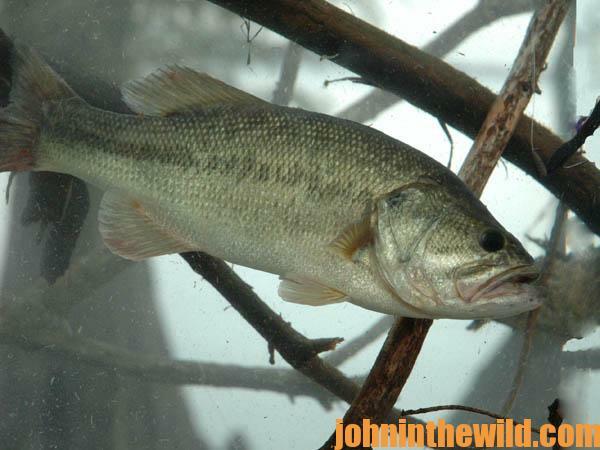 Question: How do you know when a bass is trying to take the bait at that depth? Davis: Most of the time you’ll feel pressure on the line, like maybe you’ve picked-up a leaf. You won’t feel much of a peck or a thump. When you set the hook, you don’t really set the hook. You just pull on the line and let the hook set itself. Many first-time drop-shotters forget they’ve got a little-bitty hook down in that deep water. Don’t set the hook hard, or you’ll straighten-out the hook or break the line. Just pull-up on the hook. Question: If you get on a 3- to a 5-pound bass, how will you land it on that 6-pound-test line? Davis: Just take your time, and you generally will land all the bass you catch on a drop-shot rig, unless you get your line hung-up in a tree or around a bush on the bottom. Take your time, and don’t get in any hurry as you work the bass up to the boat. 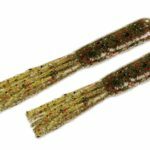 Question: What color drop-shot worm do you prefer? Davis: The color can vary from lake to lake, but green pumpkin, watermelon, smoke and sometimes a plain purple worm will be productive. That purple worm seems to work really well, especially in the summer. To learn more about bass fishing, get John E. Phillips’ Kindle eBooks and print books on bass fishing, “How to Win a Bass Tournament,” “Catch the Most and Biggest Bass in Any Lake: 18 Pro Fishermen’s Best Tactics, “Hot Weather Bass Tactics” and “How to Become A Tournament Bass Fisherman” go to www.amazon.com/author/johnephillips or at www.barnesandnoble.com; or an audiobook on “How to Bass Fish Like a Pro” at http://amzn.to/YpoJvD.